Even back when I was a teenager, I had a hard time with an "Indian" identity. Not because I was anti-Indian. Quite the contrary; I have always been proud of the long and rich history of the Subcontinent, and pissed off against the British bastards who screwed us browns. The political unit of India was where my discomfort was. I had nothing in common with the people from, say, Nagaland or Kashmir. I could not understand why such a political union was created. I was at ease in my Tamil identity. 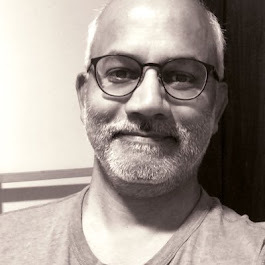 Because, I was born into it, raised in a Tamil environment, read Tamil fiction, listened to Tamil politicians, ... even as I read English fiction, watched English movies, and loved Hindi film songs. The comfortable Tamil skin did not, therefore, mean that I would have gone to war to defend Tamil Nadu. It is not as if I would not have ditched my old passport in favor of an American one. I have always been suspicious about cries of nationalism. How could an accidental birth determine everything political? Once, I remarked about the accidental birth making me a Tamil Brahmin; the remark did not go well at home ;) When people are wrapped up with such accidental identities, well, of course people do not welcome such remarks. Over the years, the flag-waving nationalism has gotten me quite worried. The backdrop of the Soviet Union and Hitler's Germany always remind me that flag-waving mobs don't work out well for humanity. Yet, here we are in the age of trump where he and his 63 million couldn't care about other nationalities. America first! I believe that the great danger in our age is nationalism, it’s no longer fascism, nor communism. These ideologies have become completely outdated. But in contrast, nationalism is a defect that is always there under the surface and above all, at moments of crisis, can be very easily exploited by demagogues and power-hungry leaders. Nationalism is the great tradition of humankind; unfortunately it’s always present in history. I think I have achieved something that I aimed for at a young age, which was to be a citizen of the world. The truth is I feel at home in France, in England and in Spain. Wherever I am, as long as I can write, I feel at home. If only the American presidency is used to channel such lofty ideals!